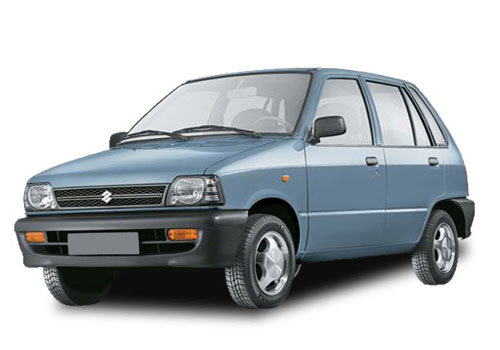 Maruti 800 can truly be said as the car of middle class families and is serving Indians for the last three decades. It’s always been on top of customer satisfaction and is the only model in the history of Indian automobile industry which has seen drastic changes and updated itself to adapt well to them and always came out as a top performer. This marvelous piece of engineering is serving me too for the last 6 years and I am very satisfied with the overall performance. Exteriors are very beautiful especially the front side provides a decent look. Rear adds to beauty and takes it to an all new level however I am not very sure about the quality of the material used to build the exteriors and I have seen dents and damages happening to my vehicle even at the slight touch with hard surfaces and if you hit anybody hard then the damages are enormous. Maintenance cost is very less and cost of spares is very reasonable. Car tops in fuel efficiency and gives whooping 19 kms per liter. Engine is decently powerful and I love to drive my 800 in city. It’s very easy to drive and turns in like a flick of a finger. Handling at high speeds is very good. Interiors are cramped especially the rear compartment makes me feel like I am trapped but the front side is much better and provides essential legroom. Overall it’s a best car in price it comes in and nobody can challenge its supremacy. It’s a best vehicle ever designed keeping in mind the requirements of the middle class families. the Maruti Alto 800 cc as the new car is called these days will be a typical looking small car but will have a diesel heart that is still unknown in cars of these proportions.